Our client is a Japanese commercial vehicle and diesel engine manufacturing company headquartered in Tokyo. Its principal activity is the production, marketing and sale of commercial vehicles and diesel engines. Lead and manage the planning and development of product and sales related training for nationwide dealers. Plan and initiate product, sales and any other training related to sales for nationwide dealers. Execute training activities for internal or external candidates. Prepare, evaluate and monitor salesman training progress and performance report for nationwide dealers. Lead and manage the development and implementation of an advanced program for dealers. Responsible for the development of Dealer channel SOP. Plan, implement and monitor sales related SOP projects such as IDS, CRO, Sales Consultant Elite Program, etc. Generate the “Report System” to each dealer and monitor in a tie-up with VSD and develop the dealer evaluation method, including implementation. Plan, implement, monitor and enhance SSI (Sales Satisfaction Index) & Mystery Shopper development by the dealer. Candidate must possess at least a Degree in Business, Marketing or equivalent qualification. Candidate with at least 3 years of related working experience will have an additional advantage. Candidate must be good in persuasive communication, analytical thinking and thoroughness. 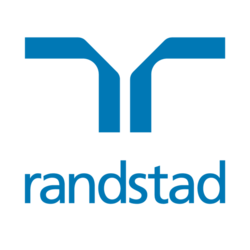 To apply please send in your CV to gayathri@randstad.com.my for a confidential conversation.